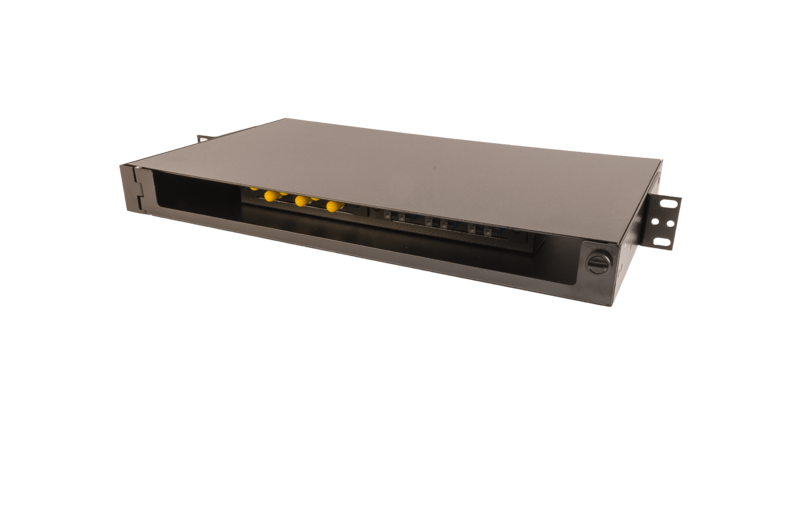 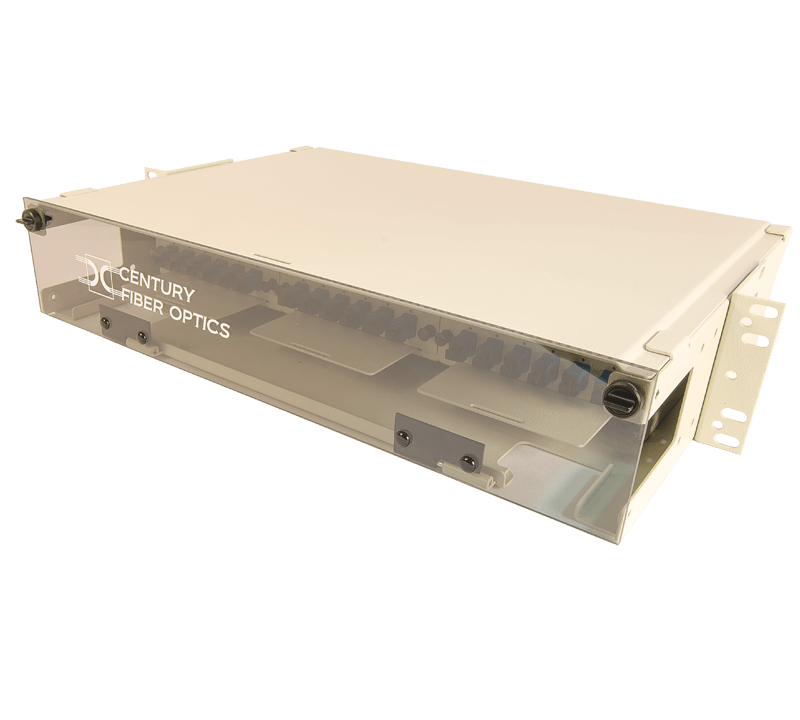 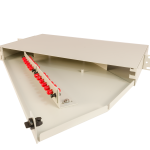 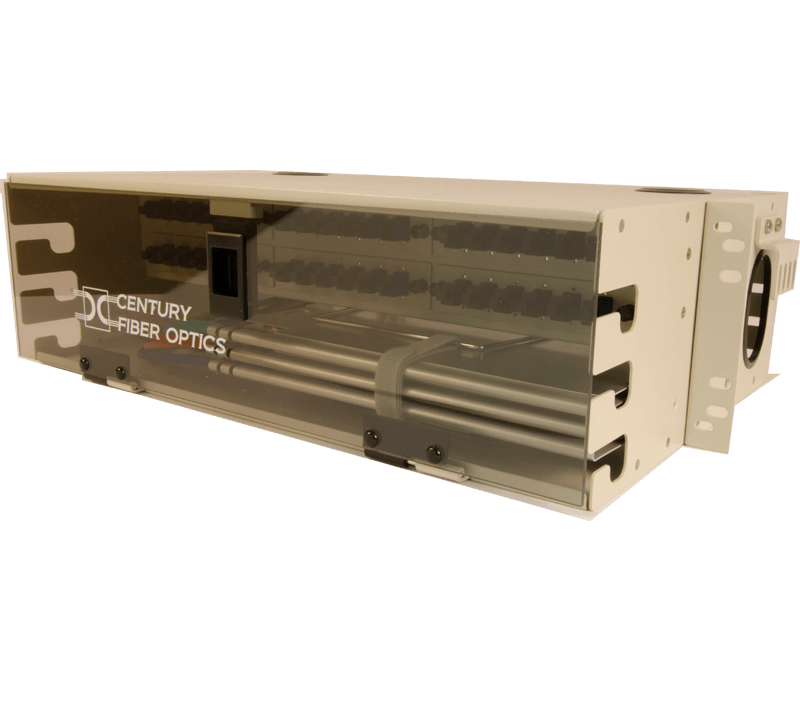 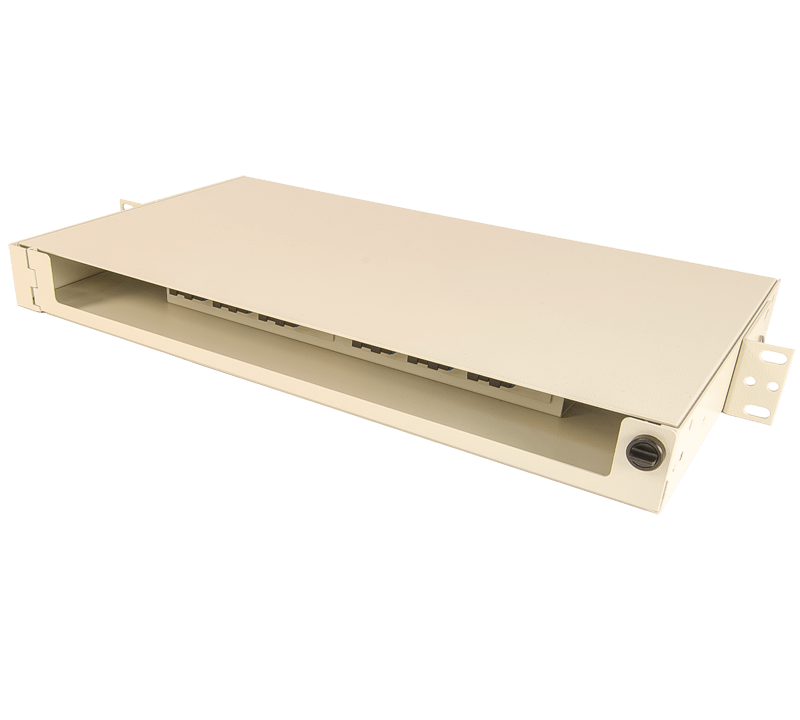 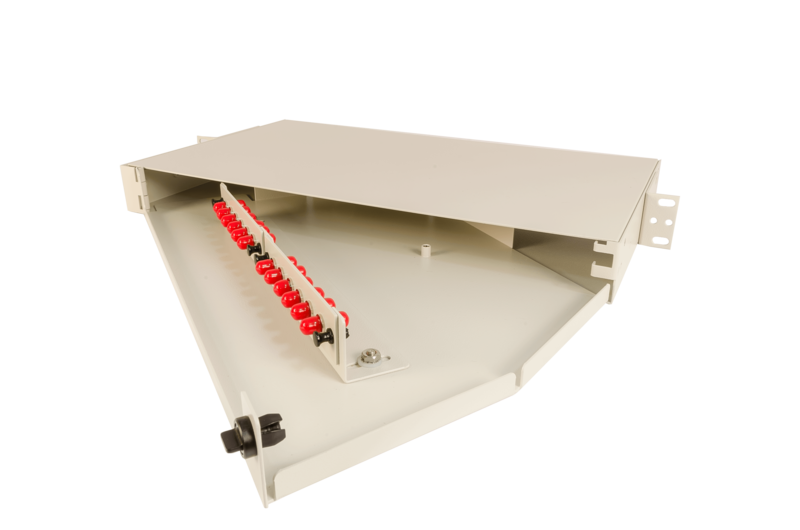 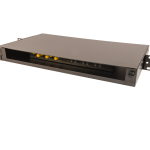 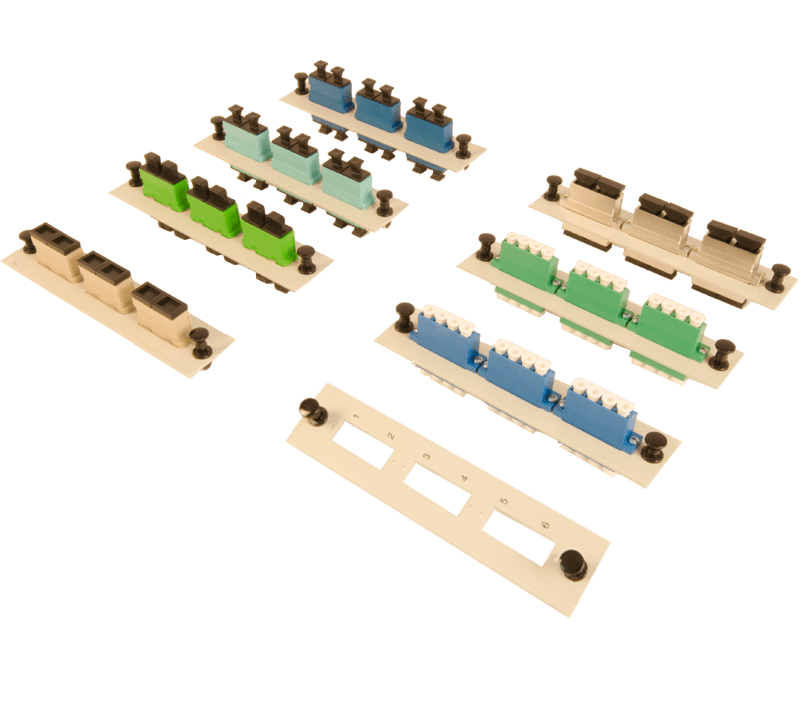 The 1U rack mount fiber optic splice and termination enclosures from Century Fiber Optics provide an economical solution for small installations where direct termination or pigtail splicing is required. 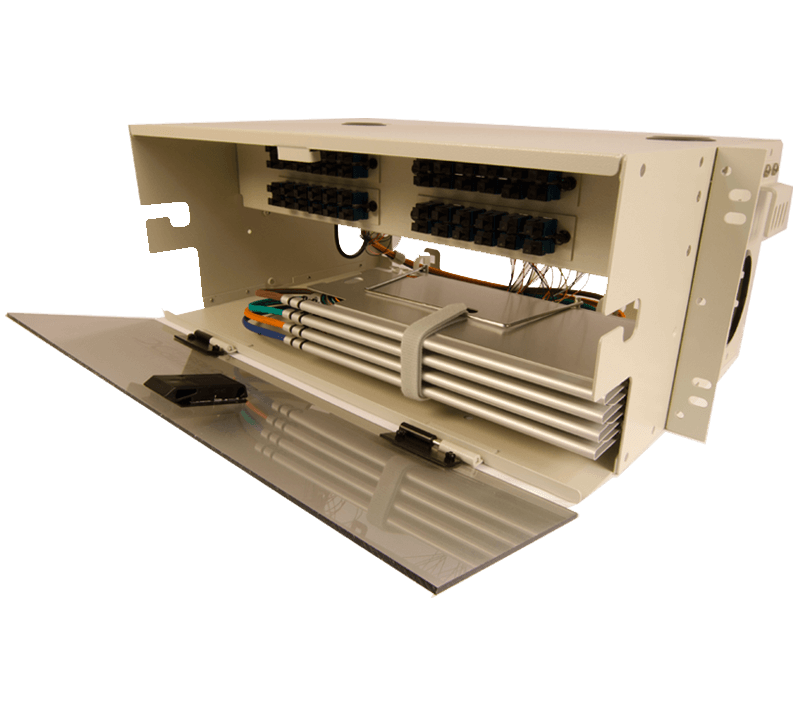 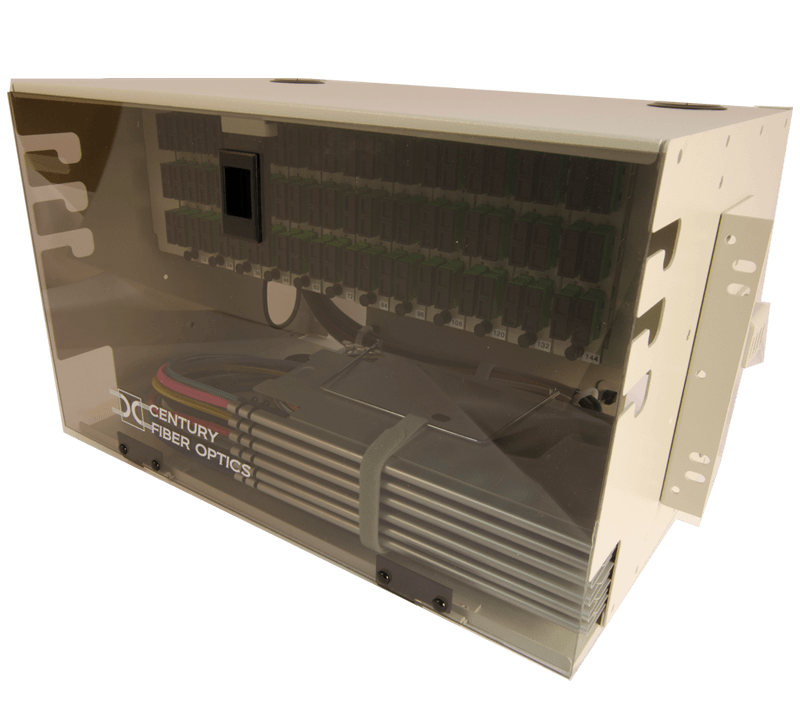 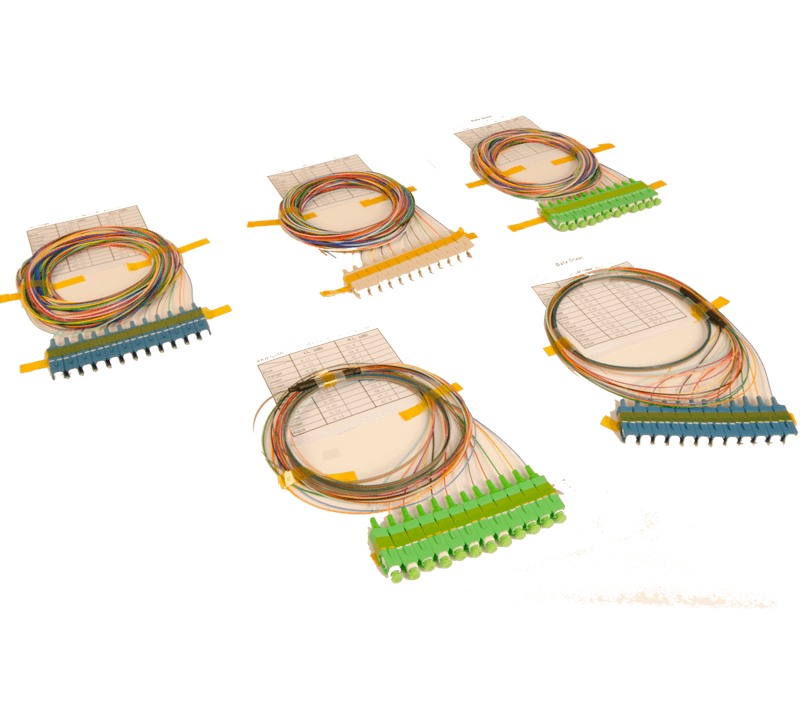 Typical uses of these enclosures include situations where outside plant cables are terminated onto the back of the connector panel or where pigtails are spliced onto the incoming cable. 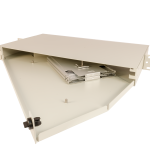 These enclosures are also used as point to point patch connections or as end termination for backbone spurs in the Telecom environment. 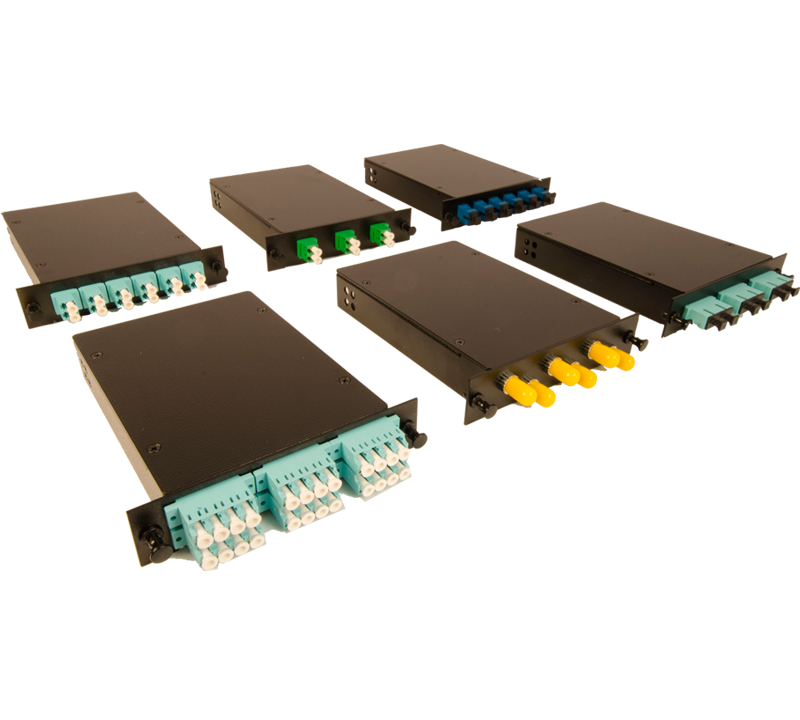 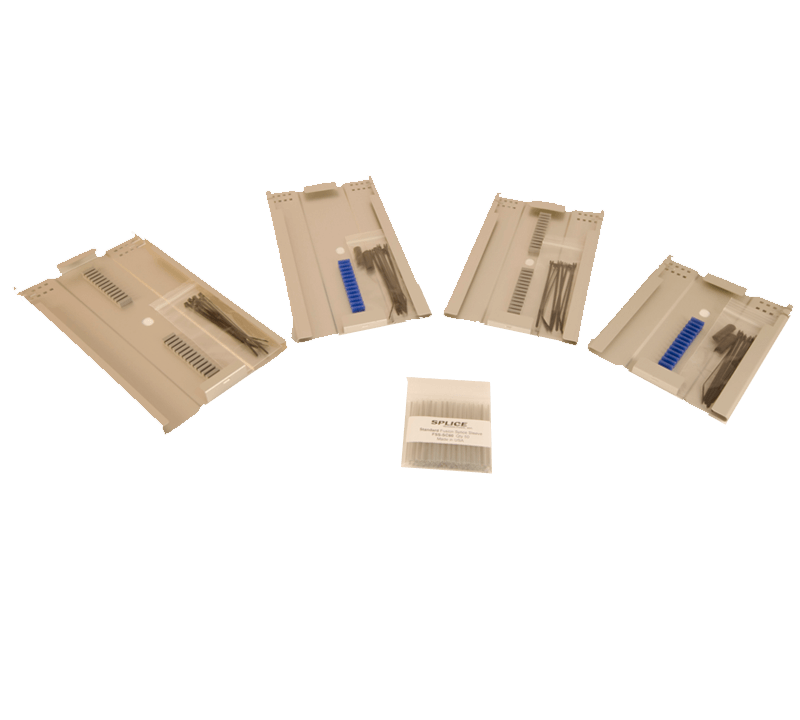 The FISR-12 cabinets can be factory pre-loaded with adapters, splice trays, pigtails and pre-terminated stub cables for ease of installation.